On the left, you can see that someone has decided to put all faith in caulking. 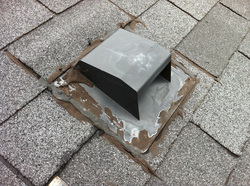 When we removed the vent, we saw where water was coming in. Caulking is not a fix-all. Some technique by a skilled professional must be employed. 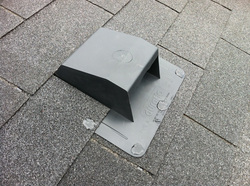 Notice the way the shingle overlaps the sides of the vent in the right photograph and is cut nice and tight. These vents should not require any caulking to keep water out if installed correctly.